Just because new methods or opportunities hit the scene doesn’t mean they should act as a replacement to what has been used in the past, especially when it continues to produce a level of effectiveness that proves it to be an advantage when businesses embrace it. A prime example is the power that signage has when it comes to connecting with customers at the point of purchasing. 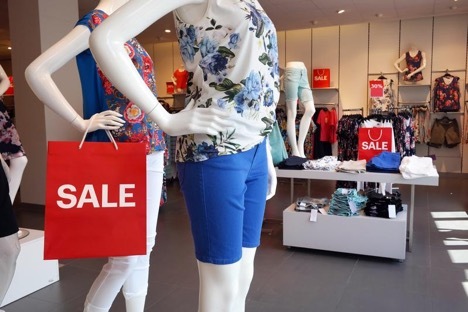 For as long as the retail industry has been in existence, signage has provided companies with a way to connect with their customers and deliver essential messages to them while shopping. In fact, it serves as an additional channel in which customers can connect with your brand. According to research done on retail signage, connecting with customers via multiple channels make them three times more likely to buy. Customers are known to see signage as a convenience and form of engagement. Navigating customers to ensure a certain flow of traffic is embraced in your location is best done using signage. Many businesses are utilizing digital screens inside stores to help with guiding customers to sales. It helps you bring them to areas that may lead to additional purchases. Promoting sales or certain products is easily done using signs, and it delivers it to them on a softer note than trying to close the sale at the register. Signs put your offerings and your brand on the customer’s mind without being pushy. Visual communication is proven to be the easiest way to get the attention of customers. It’s often cited, but still remains true in various industries, “location is everything”. The average customer’s attention span for a specific item lasts for mere seconds. Placing the sign close to its intended product ties the value of the purchase in the customer’s mind. Place signage above products like hanging from the ceiling or making use of space-saving tools like an extension pole to reach difficult to reach places you could be using for signage. Combine with powerful words and you have a winning strategy working for your company giving customers every reason to act. This is easily accomplished by placing signs near the products that they’re designed to target, leaving no room for confusion or time for a customer to forget. As far as choosing the right words, it’s as simple as clearly showing them the benefit of the purchase. For example, instead of just writing “flowers,” state something like “Make her smile by bringing home flowers.” By taking out the guesswork, you also eliminate the possibility of customers talking themselves out of making the decision. Now that you see the importance of signage in the world of business, hopefully you also realize the opportunities to still embrace old ways and maximize results by combining them with modern methods. It’s sure to provide you with an outlook where you can uncover other revenue-boosting opportunities.